These inserts are made for our large floor grinder machine. 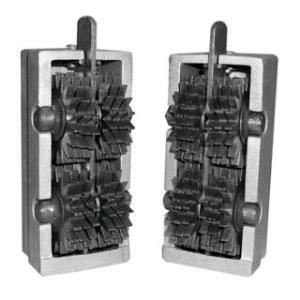 Used for floors in severe condition, and much more aggressive then our diamond inserts, these scarifiers will grind down high spots and quickly and leave your floor rough. * Please call us for any questions on our floor grinder scarifiers 6 rentals in Hillsdale and Ridgewood NJ.